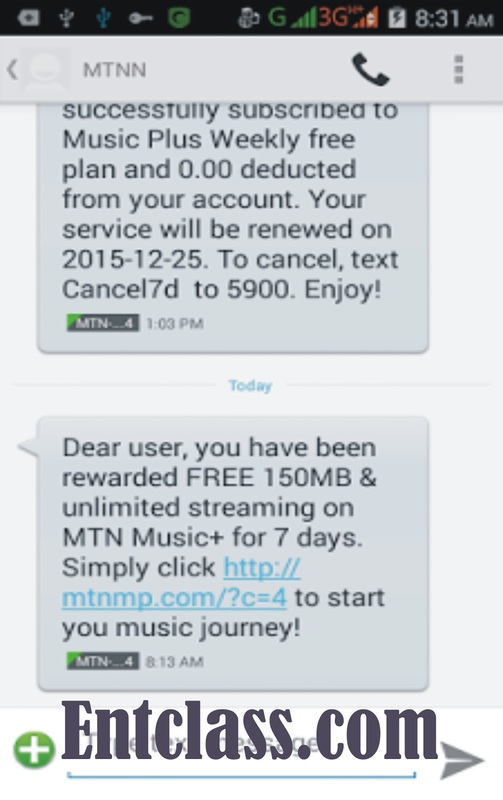 I renewed my MTN Music Plus and i was given another 150mb without stress, so i decided to post this to make it clear to those that says you can not renew your Mtn Music plus data. I'm gonna teach you how to renew your music plus below. Kindly follow my below procedures and you are good to go. 2. If you tried the number one step and did not get 150mb instantly just wait for like 24hrs then you try it again. 3. If the second method did not work for you, just keep the sim card till it reaches it expiring date, i.e 7days, then you can give it a try. 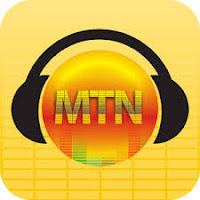 With this method you can get MTN music plus data more than 100 times daily. 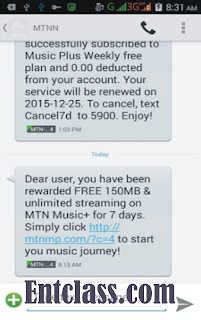 Firstly, Sms I to 5900 as a text message on your mtn line and you will receive a confirmation message that reads ''Dear user,you have been rewarded FREE 150MB&unlimited streaming on MTN Music+ for 7days"
Now dial *559*2# to check your 150mb music plus data.